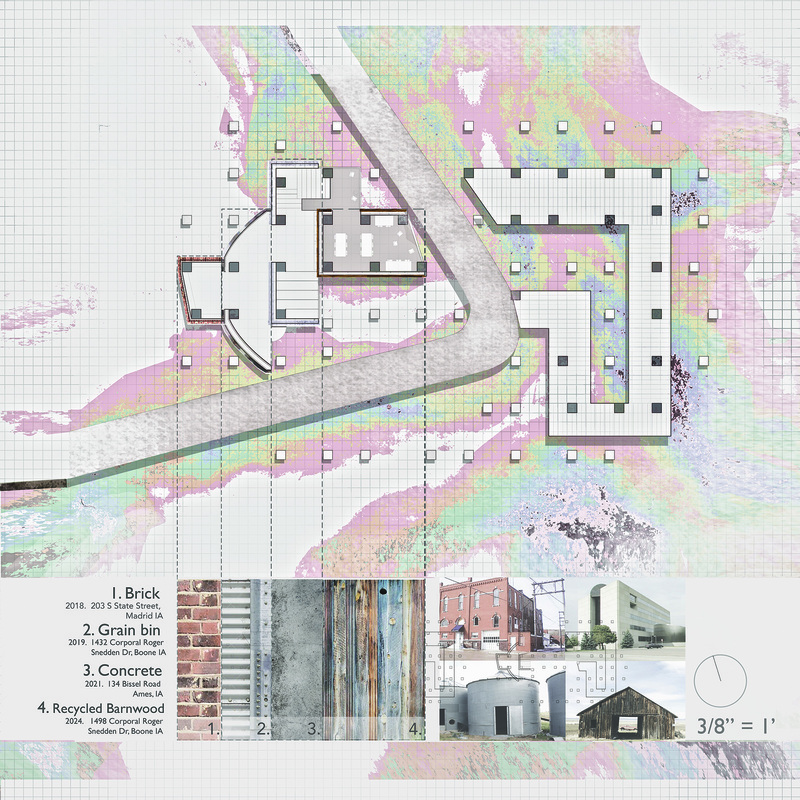 Kylee Cangas, an Iowa State University third-year architecture student, won the 2018 Richard F. Hansen Prize in Architecture awarded by the ISU Department of Architecture. Iowa State alumni Richard F. and Barbara E. Hansen established the Hansen Prize in 2004 to recognize the winner(s) of a design studio competition held in conjunction with the Richard F. Hansen Lecture in Architecture. Jurors for this year’s competition included guest speaker Dan Wood, FAIA, a founding partner of WORK Architecture Company; architecture department chair Deborah Hauptmann and professor emeritus Gregory Palermo. 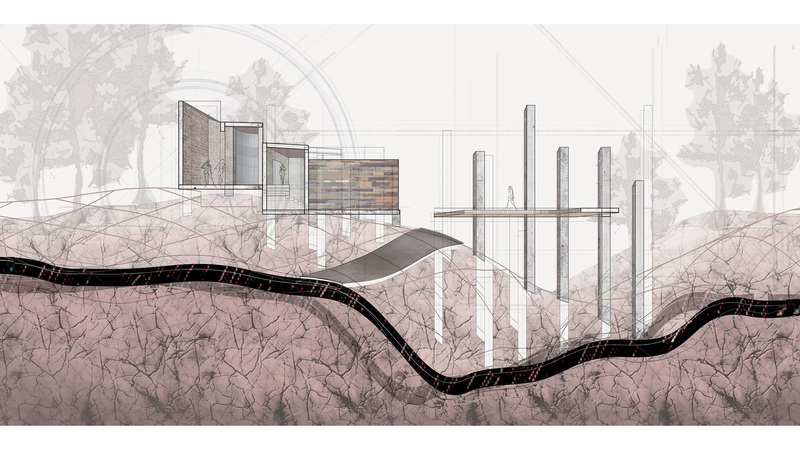 Cangas, of Bettendorf, was one of five students selected to present projects completed in the fall 2017 architecture third-year studio sections taught by assistant professor Firat Erdim and lecturers Roman Chikerinets, Leslie Forehand, Kevin Lair and Sungduck Lee. 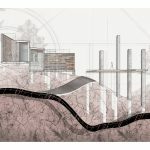 Cangas’ winning project, “Where the Road Caved In” — “an exploration of the positive and negative effects that nature and architecture can impose on one another” — began with inspiration found at Ledges State Park south of Boone. “While visiting the site, I found an area where the road had caved in [due to flooding]. 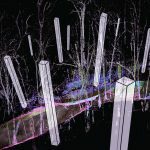 I noticed an interesting dialogue where processes in nature reclaimed developed infrastructure and decided to look further into this phenomenon,” she said. Cangas intentionally challenged Forehand’s assignment to “speculate a robot that takes part of the landscape and turns it into a material to be used architecturally” by instead designing a team of robots that take apart the built landscape (abandoned or disused human development) and transform it into reusable architectural material. 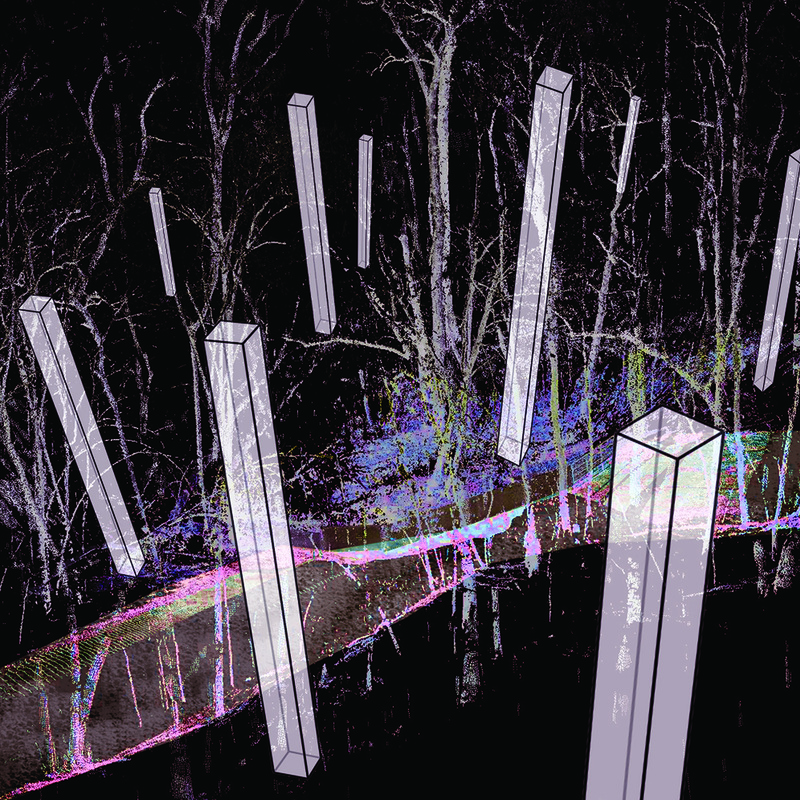 Cangas used GIS point cloud and rain-flow analysis in her site study to better understand the natural forces behind the road’s collapse, or “the extraction of architecture from the landscape,” she said. 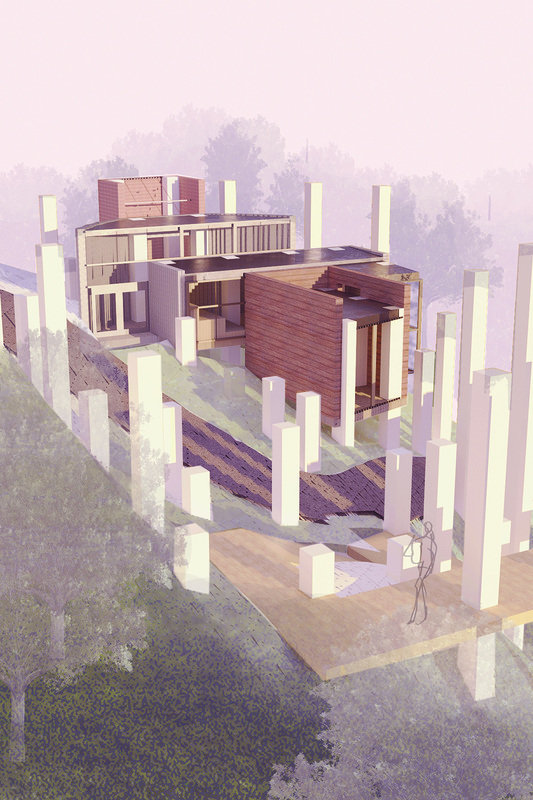 For her final design of an environmental library, Cangas proposed an installation of columns “that would make the data I had collected from the site visible through spatial experience.” Her robots would build structures around the columns from the material they collected on the site to create different “reading rooms” for reflection and learning. 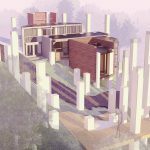 “[I sought] to create architecture that attempts to equalize human influence on the planet [by designing] robots that deconstruct existing buildings and create new buildings from that reused material only,” she said. 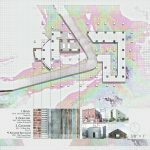 The jury was impressed with the diverse range of approaches students took with their projects and particularly appreciated the way that Cangas pushed the design process through experimentation and exploration, Wood said when announcing the prize on March 7.